The SMOK TFV8 is a monster. A monster of such epic proportions after using it everything else will pale in comparison. I’ve been using my SMOK TFV8 for about two months now and every time I try an new – or old – tank it just isn’t as good. I have a bunch of very decent tanks as well: the UWELL Crown, TRITON 2, Herakles Plus, the Griffin 25 and a LEMO 3 but none pack the same kind of punch, flavour and all-round goodness as the SMOK TFV8. I cannot say another tank usurping the SMOK TFV8 anytime soon, let along in 2016. I’m confident a new tank will come along eventually and best it but for right now I do not see anything else in the space as good as the SMOK TFV8. The coils, of which you have multiple options, are brilliant. They’re expensive, sure, but they last – my current V8-Q4 coil is now two weeks in and still going strong. Plus, when I wanna build my own, I can just pop in the RBA deck and use any coil configuration I please. Choice – and insane power and flavour – are the order of the day here. Honestly, I’ve never used a tank that worked quite as well as the SMOK TFV8. It doesn’t leak. It’s easy to build on the RBA. The pre-made coils are some of the best I have ever used. And the flavour and cloud production are simply OFF THE HOOK. 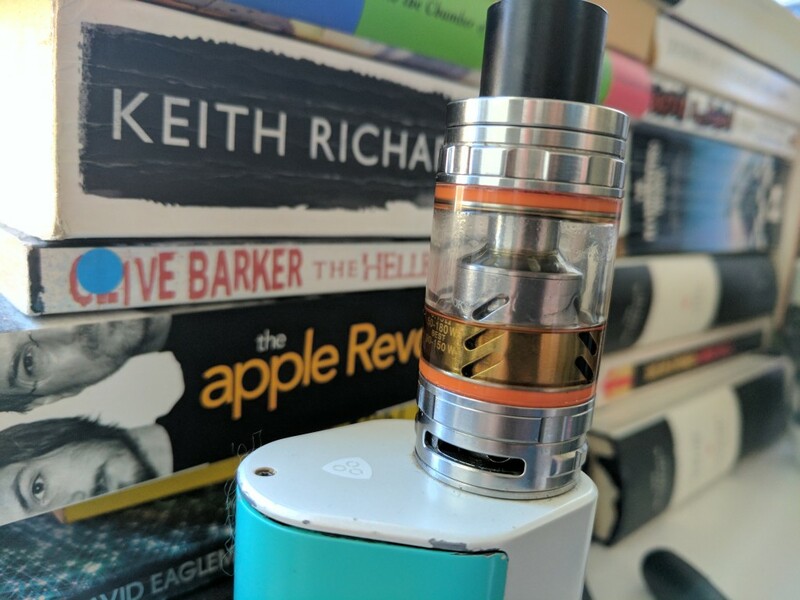 The only downside to this tank, although whether you consider it a negative is something else, is that you HAVE to run it at extremely high wattages; I’m talking a minimum of 80W to get the most out of it. Anything less and the performance just isn’t there. But with great power comes great juice consumption. The SMOK TFV8 is one of the thirstiest tanks in the business – it literally guzzles the stuff. 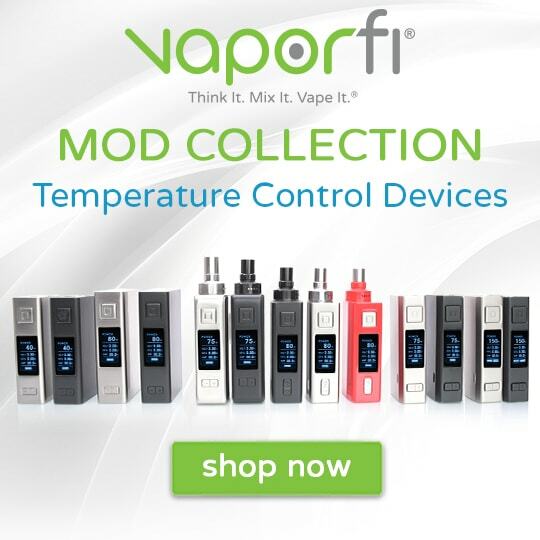 That means you’re going to need another sub-ohm tank in your rotation or, failing that, A LOT of E-Juice. Why You’d Buy This Tank? Simple: massive clouds, amazing flavour, versatility and great overall design. The SMOK TFV8 does it all and after a couple of months it is still my daily driver. Not bad when you consider we get sent about two or three new tanks a week for review! The SMOK TFV8 is a classic. I’m fully prepared to stand behind that statement. 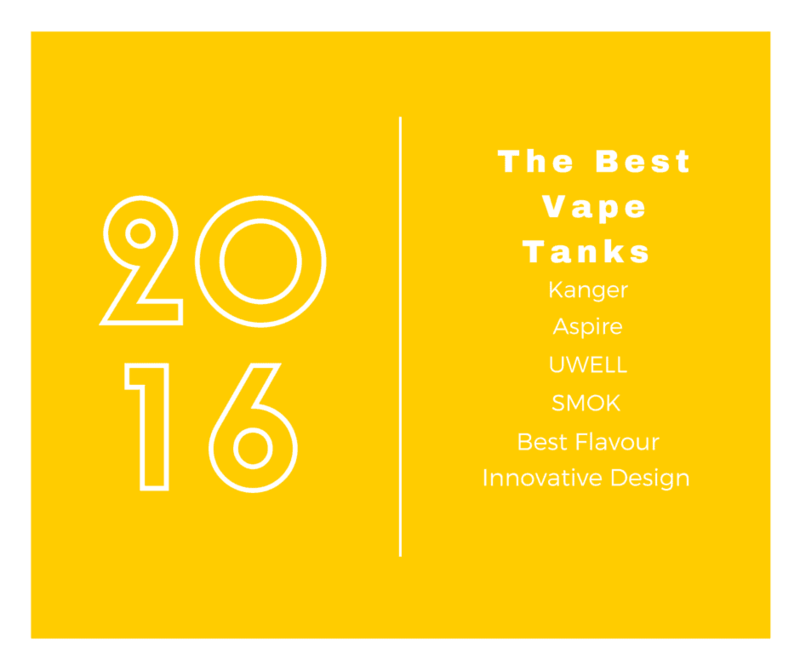 Like the UWELL Crown, it is a special tank that simply outperforms everything else in its class. And the fact that it is so goddamn versatile means you can always change your vaping style, whether through new types of coils or building your own. I paid £38 for mine two months ago, which was a lot, though given how much I love this tank I don’t really mind. What does annoy me, though, is that you can pick on up on Amazon right now for £30, which is quite a decent saving. In the US? You can grab one for even less – $31!! Amazon’s really starting to pick up its vape game, and that’s a good thing – especially if you have Prime. I like the fact I can order something today and have it here tomorrow.